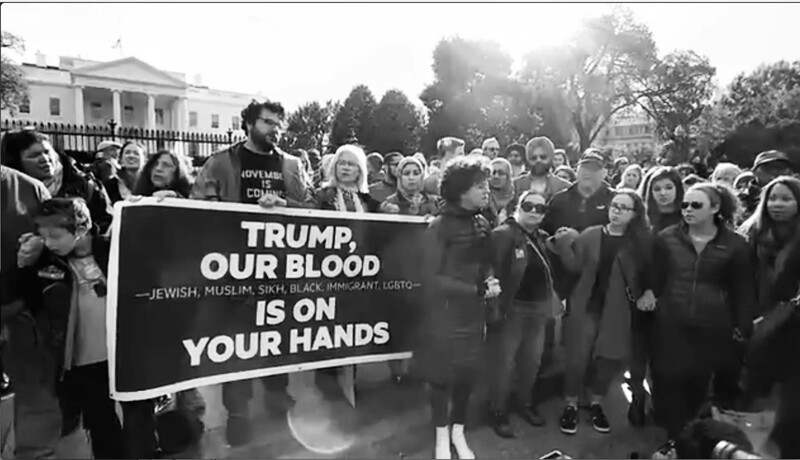 -At a rally in front of the White House, speakers drew connections between a massacre of Jews in Pittsburgh and Trump’s embrace of White nationalism. -In addition to highlighting the rift between American Jews and the Trump administration, the massacre at a Pittsburgh synagogue also highlights the rift between American Jews and Israel. –Pete Tucker attends a packed get out the vote event for Ben Jealous. Will Heavy Democratic Early Voting Upset the Pollsters? –New research published in the journal Nature on Wednesday said that humanity may have even less time to drastically cut carbon emissions. –the Oakland Climate Action Coalition claimed victory Tuesday night after that California city passed a resolution declaring a climate emergency and committing it to urgent action to tackle the crisis. And in London a new group calling itself Extinction Rebellion rallies and faces arrests. –Culture and Media: the 45th Annual D.C. History Conference at UDC; Black is Back Coalition Meets in DC; Screening and discussion of the movie short, Trouble: Conspiracy to Riot. Voices: Gerald Horne, Stosh Cotler, Linda Sarsour, Josh Friedman, James Zogby, Gail Bradbrook and more.